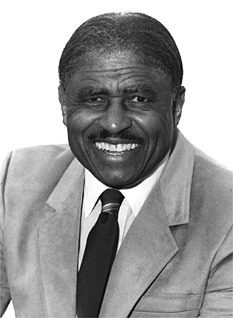 Edward Gay Robinson (February 13, 1919 – April 3, 2007) was an outstanding American football coach. Born in Jackson, La., he is the second winningest coach in NCAA Division I history and third winningest coach overall. For 57 years, from 1941 to 1997, he was the head coach of the Tigers at Grambling State University, a historically black university in Grambling, La. Robinson is recognized by many college football experts as one of the greatest coaches in history. During a period in college football history when black players were not allowed to play for major college programs, Robinson built Grambling State into a “small” college football powerhouse. In all, he sent more than 200 players to the NFL. He retired in 1997 with a record of 408 wins, 165 losses, and 15 ties. Robinson coached every single game from the field and was inducted into the College Football Hall of Fame upon his retirement in 1997. He died at Ruston, La.